Ok, so this is a different kind of crafting. Each Sunday (almost), I bring twelve five-year-olds into the woods close to where we live, to hold a two hour session where we play and learn about nature. My Swedish readers might have guessed what this is about - yes, I am a "Skogsmullefröken". This is a totally Swedish concept I think, that has been exported to some other countries as a very exotic thing. When I bring the kids out, it's a real challenge getting them to listen. So we end up playing a lot instead. Yesterday we searched for (and found plenty of!) ants, and the week before we had a bird theme. Since I like to laminate stuff, I had then made a simple jigsaw puzzle to get the kids to see the difference between birds that are common around here. I printed out pictures of birds and cut them in half. Then I laminated the pieces. 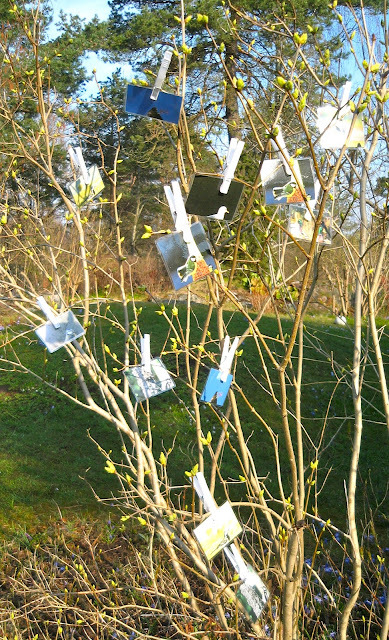 I attached the top pieces to a tree with clothes pins and put all of the bottom pieces in my "secret bag". The kids got to pick a piece from the bag (without looking), and had to find the matching piece in the tree. When they returned to me with both pieces they needed to tell me the name of the bird, and we talked briefly about what it looked like/ate/looked like flying and so on. This is super easy, almost too easy for a five year old, but they loved this all the same. It doesn't have to be that advanced sometimes. Do you recognize all of the birds? 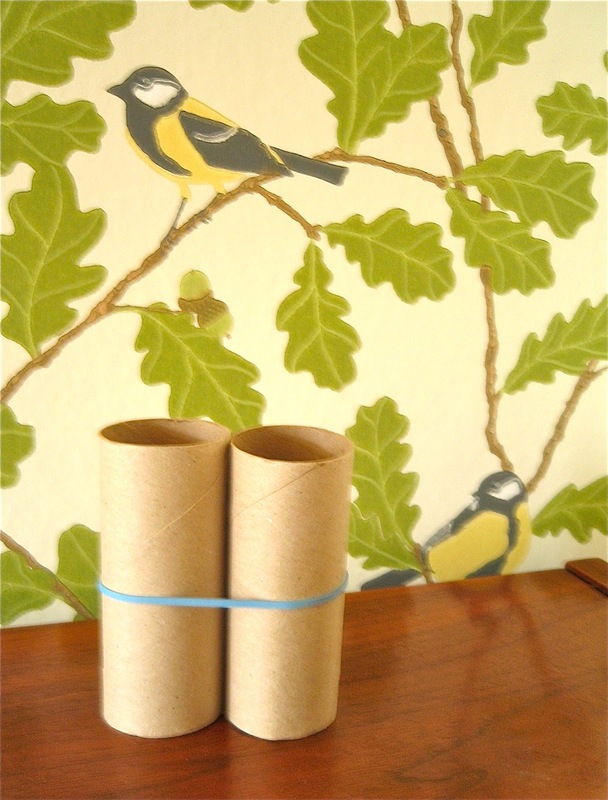 And when looking for real birds, we used our special homemade bird binoculars (You need: two toilet rolls and one rubber band.). Also a complete success! I think this is a beginning of a new feature on this blog, I will sometimes post things that I and the kids have done in the woods. Do you want to read about that? 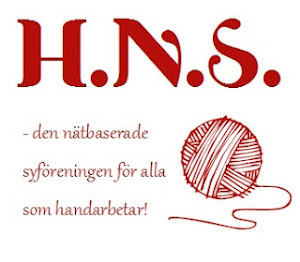 Summary in Swedish: På söndagarna är jag en Skogsmullefröken! Tolv femåringar, jag och en hjälpledare är i skogen och leker och lär oss om naturen runt omkring oss. Eftersom det är svårt att få alla att lyssna samtidigt leker vi massor, och jag använder min pysselådra för att skapa saker vi kan använda. Igår letade vi myror och förra veckan hade vi fågeltema. Då hade jag gjort det superenkla fågelpusslet ovan. För lätt för en femåring kanske, men de älskade det! Och vi passade på att i flykten prata om skillnader mellan olika fåglar. En fågelkikare fick de göra var också. Det här är nog första inlägget om skogspyssel, men jag tror det blir fler. Om ni vill läsa?